Home › Electronics › Black & Decker Bdccs20B 20-Volt Max Lithium-Ion Circular Saw Bare Tool 5.5-In..
Black & Decker Bdccs20B 20-Volt Max Lithium-Ion Circular Saw Bare Tool 5.5-In..
Black & Decker BDCCS20B 20-Volt MAX Lithium-Ion Circular Saw Bare Tool, 5.5-Inch. 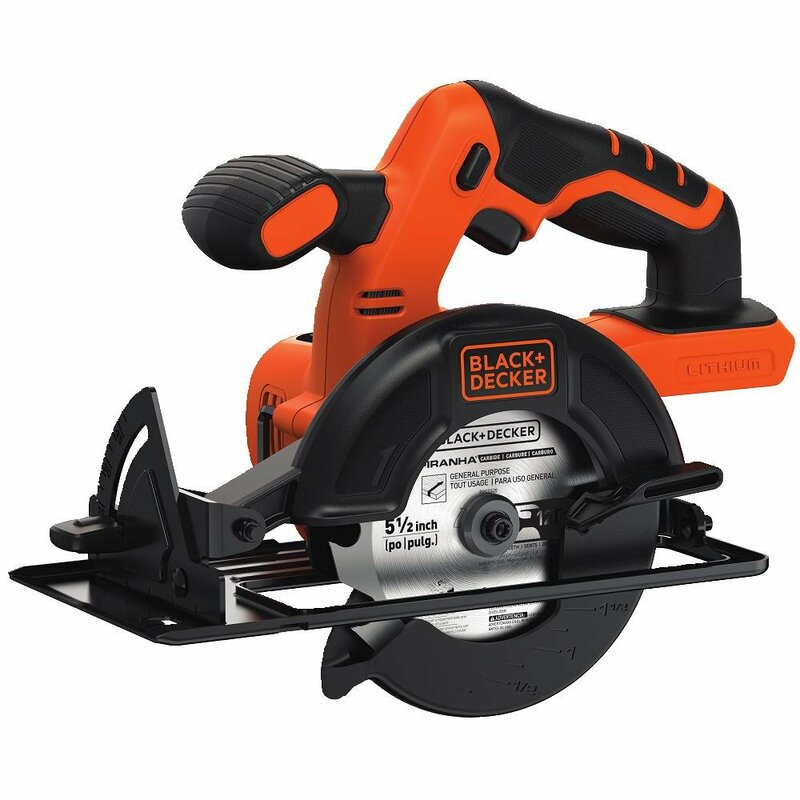 The BLACK+DECKER BDCCS20B 20v Max 5-1/2" Circular Saw Bare Tool is designedwith a powerful high torque motor. This saw features a tool free Depth of Cutand an easy to use bevel adjustment which allows for accurate angled cuts. Anincluded 5-1/2" blade provides smooth and fast cutting ideal for tough,everyday jobs. The compact design is great for ease of use. This tool workswith the entire Black & Decker 20v Max system. Tool only - battery soldseparately.